Collector editions as a whole can be more than a little hit or miss. Sometimes (most of the time) they're really only appealing to super-fans of the property on which they're based. 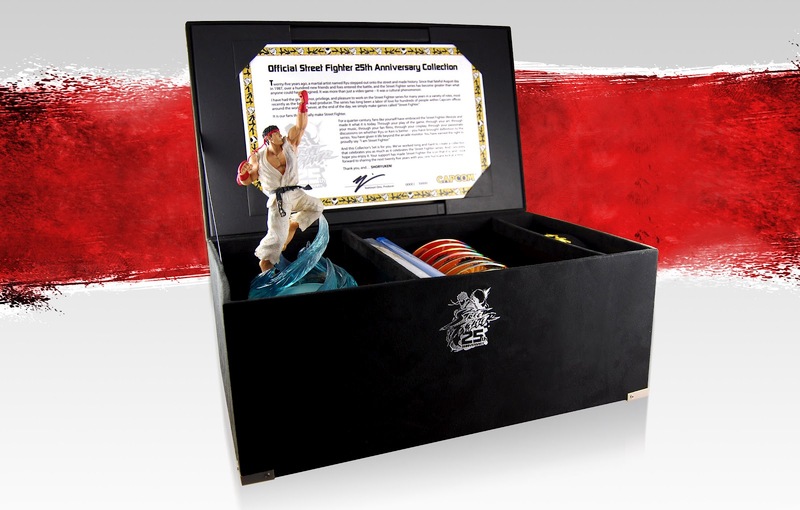 Capcom's newly announced Street Fighter 25th Anniversary Collector's Set however, is a beast of a different kind. This mammoth box set should instantly bring a smile to the face of anybody who loved (and pumped quarters into) any one of the classic SF arcade machines back in the day. To put it mildly, there's a lot of cool to be had here. The set starts off impressing with it's big, beautiful display box and only gets better from there on out. Inside the box, you'll find four (!) Street Fighter games, eleven (!!) CD's worth of music from the game series, a 64 page art book, a light-up statue of Ryu, a Blu-ray movie set (that includes the excellent SFII Animated film), and more. However you feel about Capcom and some of their business practices as of late- if you're a Street Fighter fan, there's something here (probably all of what's here) for you to love. Experience Past and Present Street Fighter Games: Gamers get a snapshot of Street Fighter with four critically-acclaimed games that represent important chapters in Street Fighter history. The collection features Super Street Fighter® II Turbo HD Remix, Street Fighter® III Third Strike Online Edition, Super Street Fighter® IV Arcade Edition with all costume DLC, and Street Fighter® X Tekken® including all character and Swap Costume DLC. Light-up Ryu Statue: Standing 8 inches tall, the highly detailed Ryu statue features the iconic character in mid- Shoryuken with flames that light up from below. The collectable statue has been specially commissioned for the Collector’s Set and is not available anywhere else. Blu-Ray Video Set: The exclusive Blu-Ray two-disc set includes a documentary that highlights the profound influence the franchise has had on fans - and vice versa - throughout the years. 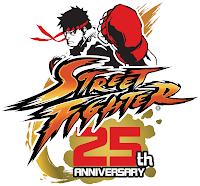 The disc also includes Street Fighter IV and Super Street Fighter IV Anime movies as well as all episodes of the Street Fighter animated series and Street Fighter II: The Animated Movie. 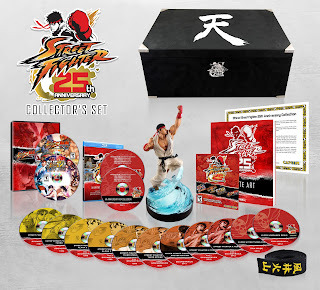 Soundtrack: 11 discs worth of Street Fighter music spanning the past 25 years. 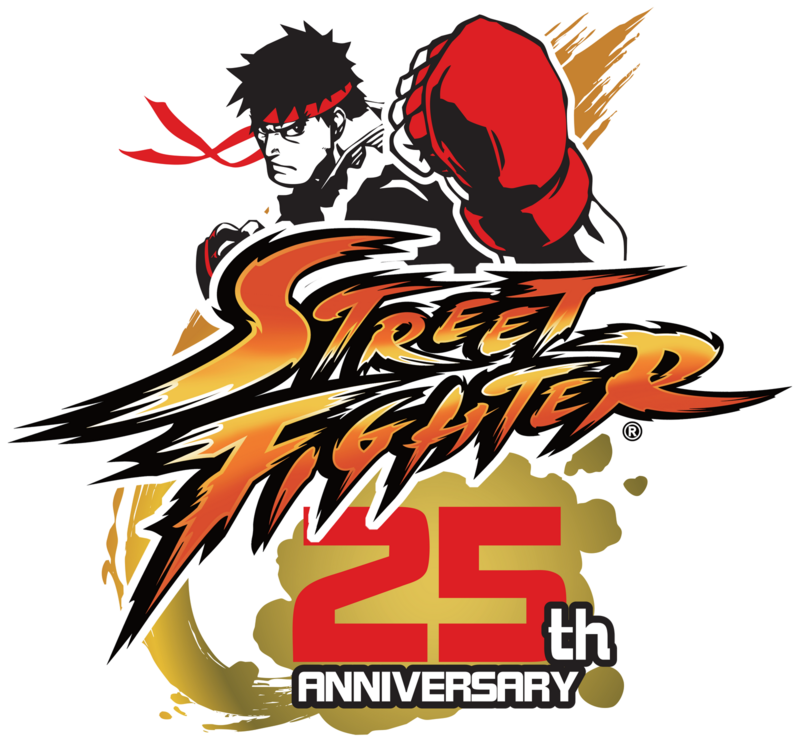 Two of the discs include remixes and fan- created music inspired by past Street Fighter games. Art Book: The 64-page art book pays tribute to Street Fighter fans from all over the world and includes fan pieces submitted by professional and aspiring artists alike. Full-Size Ryu Martial Arts Belt: Created to regulation specs, the black belt is a replica of the one Ryu wears and even includes his classic "Furinkazan" in kanji! Certificate of Authenticity: Each Collector’s Set will come individually numbered complete with a certificate of authenticity. The Street Fighter Anniversary Collection will be available for either PS3 or the Xbox 360 this September the 18th- oh, and you might want to start saving up now. No word yet on just how much this bad boy will cost, but it probably ain't gonna be cheap.